Marc Masip is an expert in addictions and a pioneer in the treatment of digital addictions. The approach of the book is positive and offers solutions and guidelines for everyone that are easy to follow and apply on a day-to-day basis, thanks to the novel concept of the "digital diet". 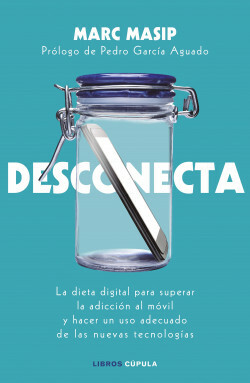 The digital diet to overcome mobile addiction and make appropriate use of new technologies. A practical book to discover our degree of dependence on mobile phones and to put a stop to this new social problem.